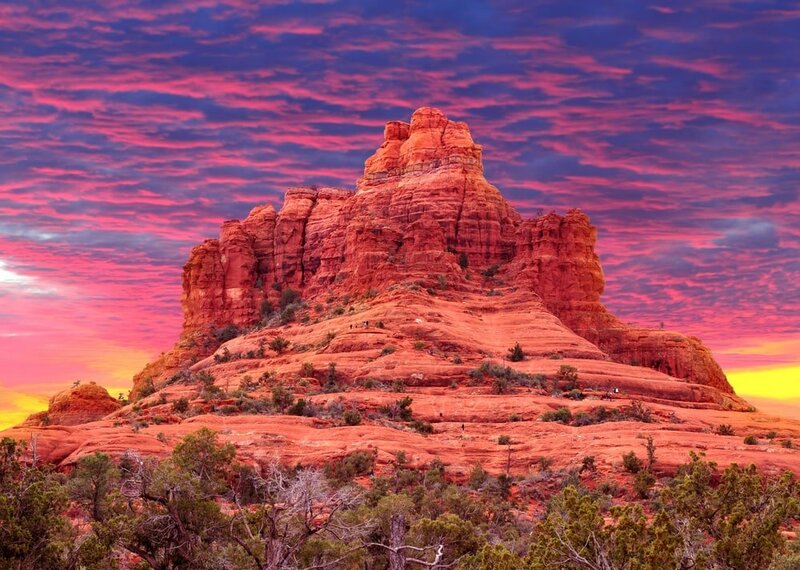 You know Sedona is famous for its gorgeous red rocks and breathtaking desert landscape. You’ve heard about this Arizona mountain town’s mysterious energy vortexes, and probably dismissed their existence. Maybe you’ve imagined escaping to this scenic destination to hike trails amidst all that natural beauty or wondered about stopping in Sedona on your way to the Grand Canyon. As you drive north from Phoenix, saguaro cactuses with their arms stretched outward or twisted in defiance stand guard over bits of desert brush. Weaving in and out of the landscape are fruit-bearing prickly pear cactus, chubby round barrel cactus, and the dreaded jumping cholla (whose evil needles long to cling to bewildered human and animal skin). This gives way to a more lush landscape of evergreens intermingled with a stubborn cactus here and there. Trite clouds made of cotton puffs are suspended in an impossibly blue sky. You come up over a hill, and drive through a mountain pass as the earth turns from bland to russet. At last you see what all the fuss is about. Cathedral Rock appears in the distance and you grab your cell phone and snap photos, eager to share this beauty on Instagram or Facebook. The jutting mountains, plateaus, and science fiction rock formations in various hues of orange and red resemble an oil painter’s fantasy more than real life. Just when you thought it couldn’t get any more stunning…the sun begins to set. You’ve seen sunsets before, but somehow the colors seem more alive here in the high desert. The sky ripens with colors from your Crayola box – carnation pink, burnt umber, sienna, scarlet. You are buzzing with energy from all this beauty…and a part of you begins to believe in energy vortexes after all. Which destination have you visited that was better in-person than you had imagined? Please share your thoughts in the comments! 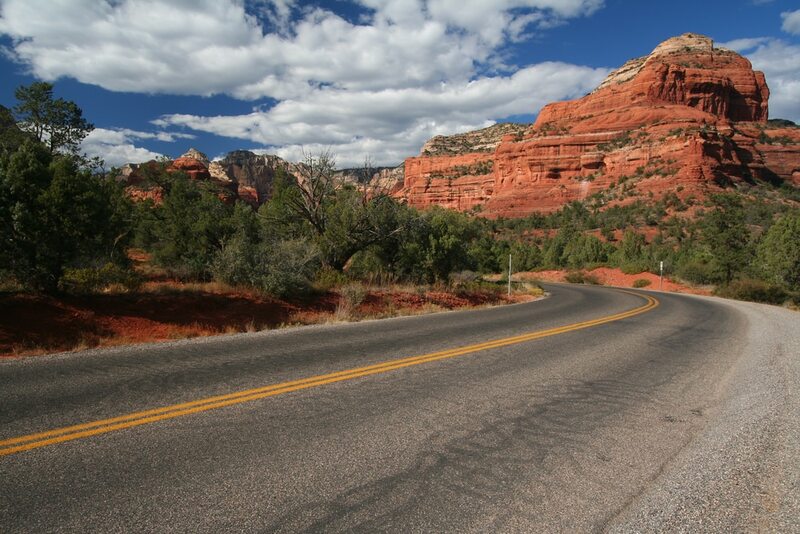 I love Sedona…I need to go back…it’s been too long and it’s practically in my own backyard!! Awesome place, isn’t it? The beauty is out of this world. The dark green and deep reds contrasting… I love this place. It’s even better when you are sitting with a glass of wine in your hand watching the time go by lol.